Exit devices from Great Valley Lockshop offer a number of important benefits. Above all, they are sturdy, convenient and secure. 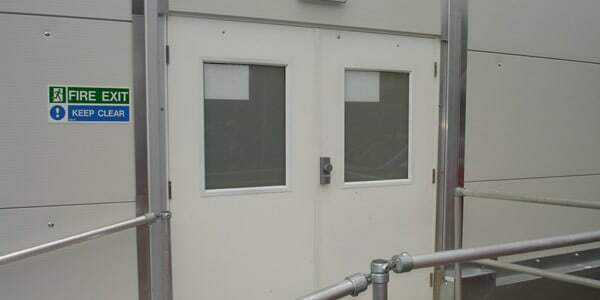 To be certified according to ANSI/BHMA 156.3 Grade 1 Standards, this type of exit door requires 500,000 cycles of 400 lbs. of opening pressure. When it comes to matters of safety and security, it’s important that the proper egress doors are installed. It’s vital that a business is protected by a door that can be securely locked at the point of entry yet is simple enough to be opened from the inside with minimal effort. Egress doors are the most convenient and safe option available on the market today. Great Valley Lockshop provides efficient and reliable installation, inspection and repair services for all of your egress doors. Exit devices referred to as either panic bar doors or crash bar doors are designed, engineered and constructed to be incredibly durable. Their main job is to efficiently allow people to exit quickly and easily in the event of an emergency. For this reason, panic doors or crash bar doors must be inspected regularly to ensure that they function properly. Consult with the experts at Great Valley Lockshop for advice on security doors in your next commercial project.